Bill's Broadened Barebones Barbados RX. DIGITIZED! More Glowing Numerals! BIG! BLUE! $13! 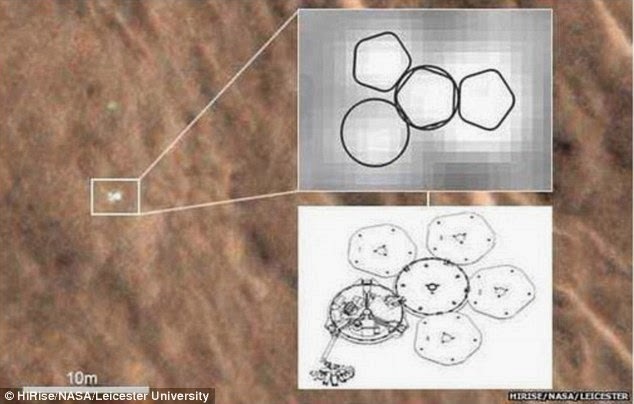 I was one of the millions of people who woke up that Christmas morning in 2003 thinking not of Santa Claus but of Colin Pillinger's Mars Lander, the Beagle 2. We were in London by then, and later on I got to meet Colin Pillinger. 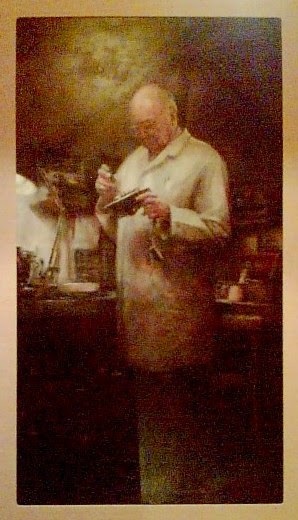 I still have the books about Beagle 2 that he gave to me. Wow, it looks like they came very close. Too bad Colin did not live to see these pictures. Using a very nice M0XPD AD9860 shield from Kanga-UK and software by Richard AD7C I put together another little DDS VFO. This one went together without a lot of hair pulling. I put the LCD, brightness control and rotary controller on one piece of vero board -- this will also serve as the front panel. In case you missed this. Makes you think, doesn't it? I'm thinking of a QRPp QRSS transmitter that would just keep on going. Battery designed by Giuseppe Zamboni. I've been getting tired of being in the dark about the frequency on which my BITX17 was operating. So I pulled out some graph paper, my frequency counter, and a pencil. You will see two frequencies at each point -- that's because I use two crystals, switched by the black knob on the left. I realize this paper and pencil approach is hopelessly out of date, but I see it as "appropriate technology" for a discrete component all-analog transceiver. Pete set me straight on how to come up with the numbers: VXO frequency minus ACTUAL carrier oscillator/BFO freq. After doing this I took great delight in going on the air and asking guys with fancy "glowing numerals" rigs to compare their freq readout with my pencil and graph paper readouts: they were painfully close. But I am not slipping completely into stubborn Luddite-ism; this weekend I worked on a DDS-based AD9850/Arduino VFO with I-Q output based on Paul M0XPD's Kanga-UK Arduino Shield. STAY TUNED! The poor fellow was actually JAILED for his "radio obsession." Wow. That was kind of harsh. But Gerry overcame adversity and had a very happy life in radio. Thanks Thomas! And thanks to the BBC. 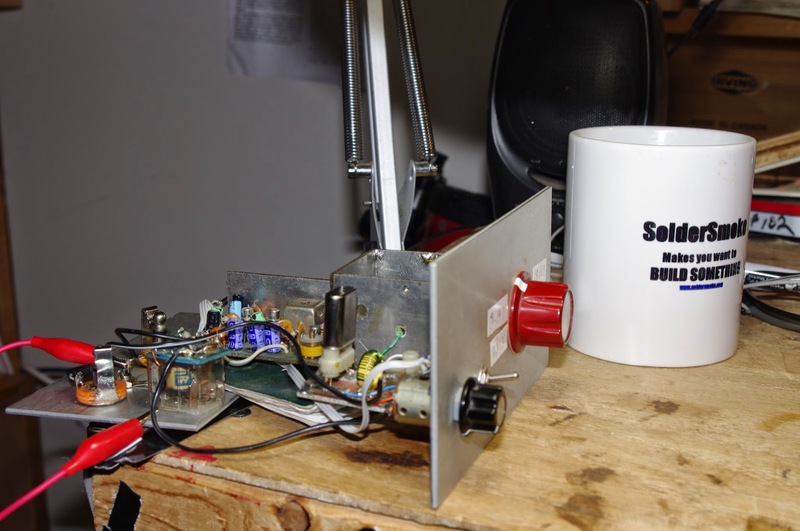 First, thanks for Soldersmoke and all you do for us QRP hackers around the world. I'm a big fan! I've detected you are getting sucked into the world of microcontrollers of late. I know you are not really that excited about SDR but this is a radio that combines Arduino, the currently popular SI5351 and a Softrock to make a very functional SDR. I started this project last year which uses the fabulous Teensy 3.1 and companion audio shield. I recently packaged it all up and it looks like a QRP radio now. 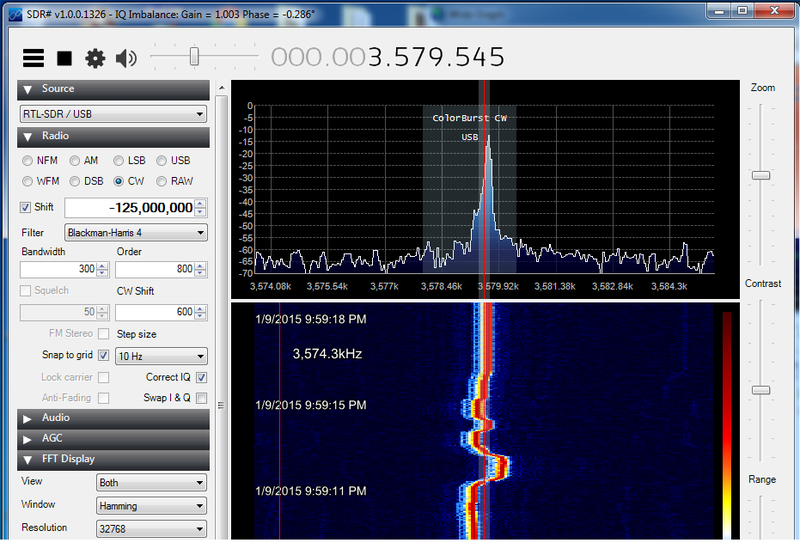 Still doesn't transmit but as I like to say thats "just a small matter of software". There's a link to a video and a link to the code in that post. Wow –really exciting project Rich! Congratulations and Bravo! This is so exciting, for all hams, as this just shows the power of the available low cost technology that is now on the market. Your project is really tempting as I have a V6.2 15M softrock sitting in a box (somewhere). I was somewhat put off with the Power SDR as the opposite sideband rejection is not too good –it is clear you have cracked that nut. Thanks for sharing Rich and yes Bill I am taking very deep breaths. Thanks guys! When I saw the Teensy 3.1 with the companion audio codec board the first thing that came to mind was a portable SDR. Since its Arduino compatible I am able to leverage the SI5351 library, encoder library etc so its mostly just putting software blocks together. The digital filter design is a bit tricky but Loftur VE2LJX did quite a bit of work on that and now it works really well. I hope to add CW decoding and PSK31 at some point. I've used less than half the flash on the Teensy so lots of room for new features. I'm hoping if the word gets out I won't have to do this all myself! This is really nice. 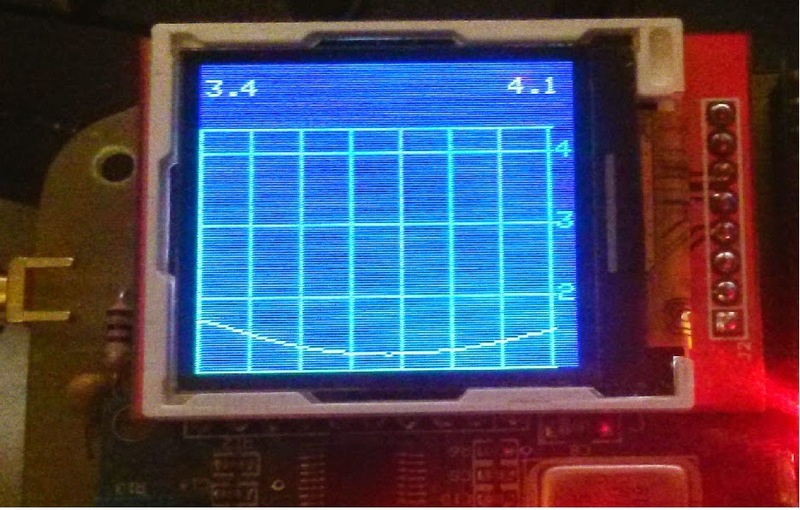 DuWayne KQ4VB, has been talking to Pete about his use of digital chips, Arduinos and TFT displays in homebrew SWR analyzers. Obviously these techniques could be used to measure the passband of crystal filters. (Far superior to my pencil and paper procedures.) Nice work DuWayne! Looks good, I did some playing with the TFT board I have. 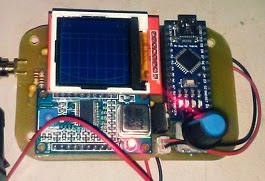 Did a board for the antenna analyzer using the TFT and a 9850 DDS module insted of the NOKIA and si5351. Wanted to see if there was much difference between a sine wave out and the square wave from the 5351. Appears to be very nearly the same from a couple of quick tests I have done. Want to try some different diodes and change some values for amplifier gain. output of the DDS drops off. I think this is a really interesting and useful way to gather and present information on propagation conditions. Check it out. The "instructions" page gives some background info on the technique used. It's been a while since I checked in with this site. They have made a lot of improvements. It is very impressive. I had trouble with it using Internet Explorer, but it worked right away using the Google Chrome browser. Play with it a bit. Zoom in on 40 meters. Listen to the LSB contacts. Very nice. When Your Local Oscillator Could Sink Your Ship! 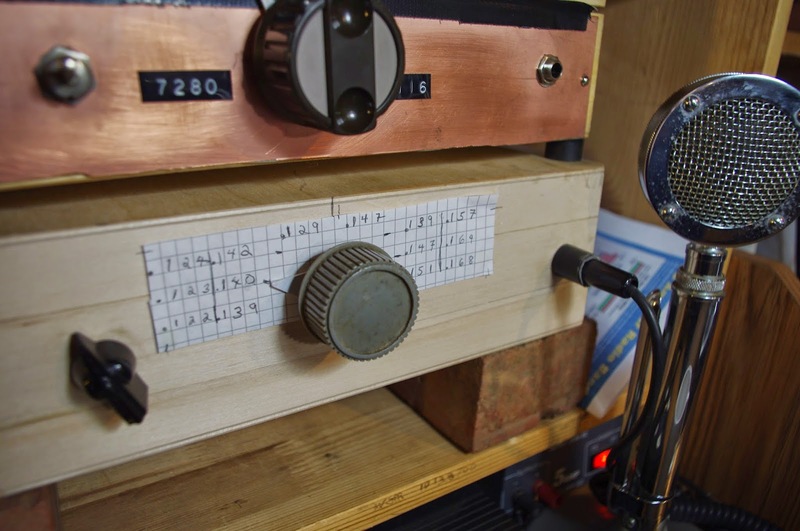 Thomas KK6AHT is the intrepid radio amateur from France who moved to California and successfully built a Minima as his first homebrew project. Yesterday we got additional evidence that Thomas definitely has THE KNACK. It seems that he has been looking through really old radio magazines (clearly a symptom). He sent us this add from 1942. Yikes! Imagine getting your ship sunk because your Local Oscillator is not quite local enough! I thought you would get a kick out of this 1942 ad. Sounds like those guys had a some good reasons to fight QRM ... Who knew the important role played by the FCC during the war? Now tell me: why were the receivers so noisy at the beginning of the war? What did they change? Happy new year to you both! May the gods of radio (and digital) bring you much fun on the air. Good to hear from you Thomas. Long time no hear -- I was beginning to fear that you had grown disillusioned with homebrewing and had switched to stamp collecting or something else less frustrating. As for the ship radios, two things come to mind. Some of them may still have been using regens at the start of the war. If so, that was kind of suicidal -- regens radiate! The detector moves in and out of oscillation (sometimes staying in oscillation) at the receive freq. The Germans were quite good at detecting and direction-finding these signals, on land and at sea. So the regens would have to go. Superhets are not quite as bad, but they too can radiate. My Bitx spills out a bit of signal at 23 MHz (VFO) and at 5 MHz (BFO). Without adequate shielding, these sigs could also be detected and triangulated. Looks like the radio in the picture had lots of shielding. We watched a French movie last night: The French Minister. A comedy about life in the French Foreign Ministry. It was kind of fun. What are you working on? 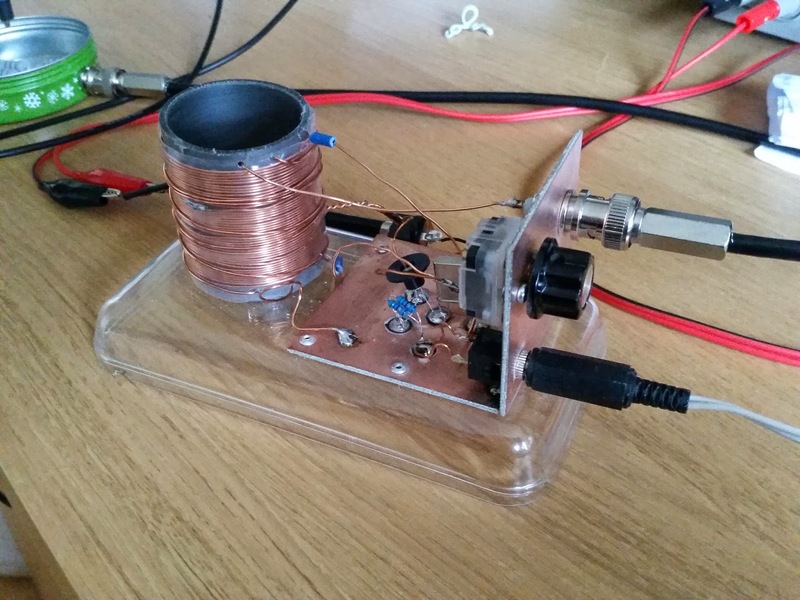 I am listening to 17 meters using an OLD superhet in which I have replaced the VFO with an Arduino/DDS generator. Works great but the display is making lots of noise. Well Thomas, I will dip my toe into some very deep water and attempt an answer for you which also is an important clue about QRP operations. Today we have many many signals co-existing in the radio spectrum. During the war there was much less radio garbage and the military lit up the ether with transmissions very sparingly. But that is on the transmit side. That said the local oscillators (much like you have with the Si-570 on your Minima) used in receivers also produce RF that unless is minimized in some fashion is passed right through to the antenna and can be detected. Regenerative receivers are especially prone to this. Yes some military equipment used regenerative receivers. In fact the famous Paraset had to be constantly moved so it would not be detected. 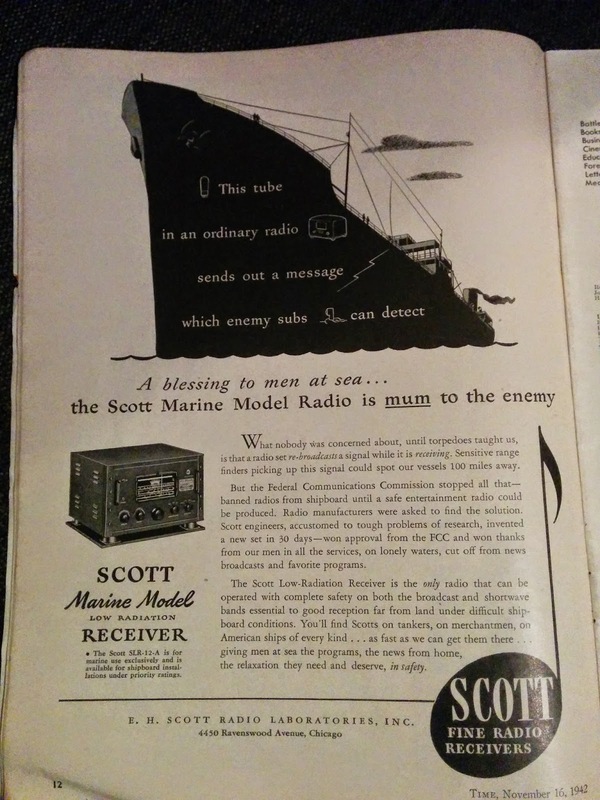 This receiver generated RF into the antenna was addressed by companies like Scott by shielding everything. That receiver in the photo probably weighed about a 100 pounds or more. Much attention was paid to RF bypassing and grounding. 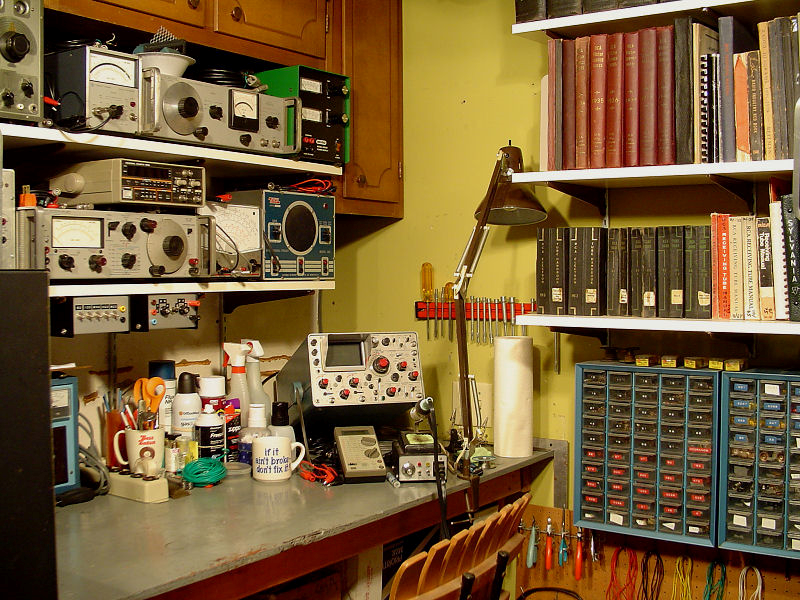 The cheap table top radios were RF generators par excellence. Now the QRP part – if the RF output from a receiver local oscillator (milliwatts) can be detected from afar – then it follows QRP works! I did this for Pete. And I did it to start out the new year with something different. And because I needed the crystal for my beloved BITX and didn't want to buy more crystals. After successfully broadening the filter in my Barebones Barbados Superhet (originally built by Dale Parfiit W4OP) I decided to replace the VXO with an outboard Arduino/DDS device. Nothing new in that (I was playing with this back in October), but in what I think is a symbolically significant twist, I pulled out the tuning cap for the VXO and, in the hole left by the tuning control, replaced the knob with a BNC connector. That connector now carries DDS signals into the receiver. The crystal was at around 23.125 MHz -- that's why the LCD display is showing 23 MHz. It works great. I was listening to the DX station in Iran this morning. Wow, that is one beautiful BITX. Nicely done Colin. But I must say that you are exhibiting an almost inhuman degree of patience! Who needs a case? Fire that thing up and make the traditional "still-on-the-workbench" initial contact. I loved the last SolderSmoke, it was another great episode. It really does amaze me, that a few years ago, hams were saying that it was too difficult to build your own gear that would be anywhere near to the commercial stuff, but here we are with Arduinos etc bringing powerful functionality to the masses. 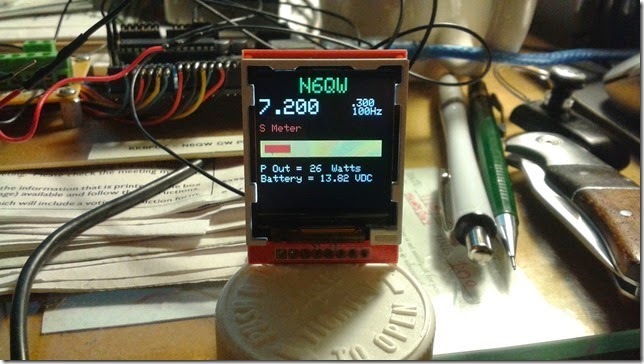 I couldn't have imagined building an SSB rig with a pretty and functional LCD screen when I started in ham radio. I finished building my BITX board yesterday but wanted to have a sleep before applying power! Today I carefully checked the circuit for errors and found none, phew! I fired the rig up gently, watching the current carefully. I wound up the TX bias to 50mA as stated in the MKARS80 instructions, all went well. I plugged in the mic and spoke - BANG! - Everything went off. Oops - I had used a 500mA fuse for initial safety and forgot to swap it for the bigger one! I fitted a 1.6A fuse and hey presto, all was fine. I was absolutely amazed and to be honest, rather proud of myself. I think the TX is a little bit too hot, my meter is showing about 6W on voice peaks- eek! The rig seems to be perfectly behaved though, no wierd effects seem to be happening. I can just turn the bias down a bit, right? Anyway, I was happy with my progress so I finished for the day. I still need to investigate and probably tweak the carrier suppression. I spent a short while talking into a dummy load, using my FT817 to monitor the transmission. My 2yr old son was interested in my voice coming out of the 817'sspeaker! Can't wait to get the rig built into it's case and score that first QSO. I have been a bit ill, but finally found some time to work on my Meara Mighty Mite, which i wish to call it as it was by the grace of Bill Meara that I am able to play a part in the Colorburst Revolution could begin. I just wanted to share some pictures from the bench of my progress, which is not yet fit for the ether. I originally wanted to build a really unique design. I have a tendency to complicate things. The more simple it is, the more complicated I tend to make it. After a lot ambitious failed starts, I decided that the best thing to do is to keep it simple. In fact, I would say that I was "over-noodling" this one. So I just started building. I use copper clad PCB, which I get for very cheap from an ebay seller named abcfab. I use a tool I made to cut islands by hand. Information can be found about this method on my blog. I build ugly circuits and I'm proud of it. I haven't build the LPF yet and wouldn't put it on the air without one. Thanks for all the great inspiration and for inspiring a revolution of colorburst liberation! "All of the circuits shown are aimed at reasonable stability, but have relatively low output power. It is possible to bias many of these circuits higher to obtain outputs of up to perhaps 1/4 watt. However, thermal stability is often severely degraded, chirp is introduced if the oscillator is keyed, and the user stands a chance of damaging the crystal from excessive rf current. It is not recommended that a single oscillator stage be used as a simple transmitter. The addition of an amplifier is so straightforward, and the system efficiency is so much better, that the minimal simplicity is not of value." That may be true, but the Mighty Mite is for learning and getting our feet wet. Still it may be interesting to point the above out or talk about it. Also, I'm curious to know which schematics everyone is using. 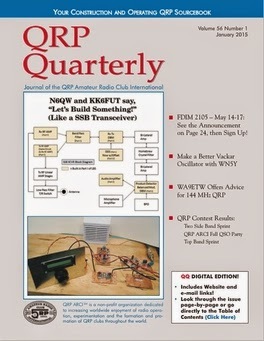 The famous Easy QRP transmitter on the QSL page, perhaps DeMaw's from QRP notebook (available on archive.org in pdf form for free). Oh man, this is the kind of thing that lures me ever deeper into the digital morass. That would be hard to do with my beloved discrete analog circuits! Be sure to note the size (it is sitting on the top from a pill bottle -- you can also look at the pen for a size reference). It is 1.25 inches by 1.25 inches. Pete has it working with the Si5351 software. As you can see there is still room at the bottom of the display. Pete notes that an SWR readout is possible. And Pete got this device for FIVE BUCKS! I've been working on the crystal filter of the Barbados Barebones Superhet receiver. This was designed by Doug DeMaw in 1982. This one was built by Dale Parfitt W4OP and then repeatedly modified by me. It is now on 17 meters with a crystal-switchable VXO. Earlier I had made a very crude attempt to broaden the filter from its original very narrow CW configuration. This week I did this again, but this time I actually characterized the crystals and used Wes's LDA and GPLA software (from EMRFD) to design the filter. I played with the capacitor values and finally got the 3 kc bandwidth I wanted, but I'm having trouble getting rid of the ripple. I know this is dependent on the impedances at the two ends. The programs say I need 2000 ohms. I don't know whether this is worth messing with anymore. The receiver sounds nice. The 3kHz bandwidth gives it a nice sound, and the ripple doesn't seem to be noticeable That FAR circuits board is tightly packed and difficult to work with. So, should I leave good enough alone, or should I proceed with fanatical ripple eradication. Any advice? BTW: Why is it that receivers always seem to sound better when opened up (as above) on the workbench? Thanks for your kind words. 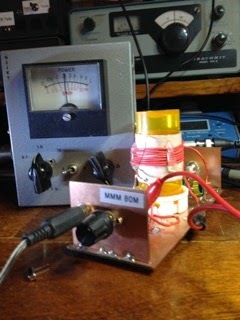 I really enjoyed the MMM project, first analog oscillation . Your right about the homebrew key being a hacksaw blade and a few pieces of plywood. The knob is an old poker chip. You can adjust the spring tention by moving the blade in and out of the plywood. Travel can be adjusted by raising and lowering the bolt under the blade. I needed something for CW and wanted to stick to the ham maker thing. As for me sending lefty, I do that so I can switch when the right gets tired or I need to hold ipod for video. Thanks for what you add to soldersmoke. 73. Ps I will send picture of key. Wow –so cool! I was impressed with not only his M^3 but the homebrew key and sending with his left hand. It would be nice for Kai to send us his details for the key. It looked like a hacksaw blade sandwiched between some plywood blocks of wood and some sort of plastic tuning knob from a defunct transistor radio as the key knob. Now that is what I call homebrew –elegant and it works well! 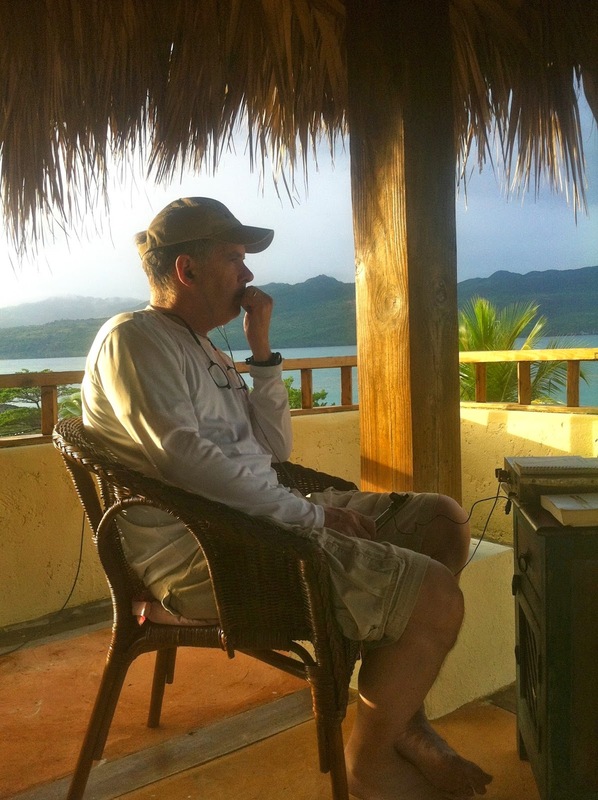 Bill's Double A, DSB, Dipole, Dominican DX-pedition. I bring news of the California Mighty Mite as Bill dubbed it. I repeated the steps as documented in version two with Pete's parts. I had one hiccup. I was winding L1 with Pete's red wire when, on turn 42, I ran out. Luckily a search of the workroom revealed the last two coils of radio shack magnet wire that I bought with the Gold wire. I checked the thickness of the Green-coated wire and found it to be one gauge smaller than Pete's wire. To be ready in time for the podcast, the green wire would have to do. It was fussier that the larger gauge wires, but with my trusty electrical tape, the L1 coil stayed on the coil-form quite neatly. Using a scrap of gold wire, I wound L2 making sure to tape it evenly spaced. Next I remeasured each of the parts to be soldered and arranged them in according to the Schematic. With the Soldering iron hot from warming while I would the coil, I detached the 365pf varicap from the MMv2. I strapped on the heatsink to the 2N3058 transistor and soldered the 27Ohm resistor to the Emitter. I attached one pole of the Colorburst crystal to the solder tab on the varicap along with the stripped end of L1 coil. 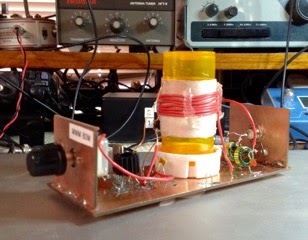 I soldered the Collector to the Tap-2 of the L1 coil, then the Base to the other pole of the crystal. I then attached the 10k resistor to the base and attached another red-magnet wire to the side of the varicap. Almost done I looped a 47nF ceramic capacitor to the 2 power posts of a DC connector, then wrapped the Tap-1, 10k, and the lead from the varicap into the pin (positive) solder tab of the DC connector. I took a second red scrap and stripped the ends, stuck it in the sleeve (negative) solder tab. Two applications of solder later, the multimeter was back out for a final continuity check. After checking across every joint, I plugged in my power supply to the Mighty Mite. Reaching over to the shortwave I leaned in the power button and tapped in the Colorburst frequency, 3-5-7-9. Static filled the room as I made sure the radio was how I left it earlier that week. SSB mode, attenuator off, and volume up. My finger tingled as caressed the straight key, now wired to the resistor and negative line. I was scared something would melt or flame up when I keyed down. Well no way to find out, except to do. The key spring resisted, but I felt metal below as the key bottomed out. The radio let out a sound like rubber going down a slide and faded as I held down the key. Revision 3 was a success. Version 1 being breadboard and Version 2 being Bill's crystal and what I had on hand. I tried tapping out CQ, but was faced with the chirping fact that I haven't practiced in a year. I don't even know TEST let alone CQ CQ KK6JTL TEST. I turned the varicap to see if the sick squeal got any better with adjustment. It did and the pitch out of the radio changed after a bit. I must be changing frequencies! I spun around and fired up the computer. The RTL-SDR would show me what I was doing and who may respond, along with who I might be interfering with. I waited for quiet and keyed down. 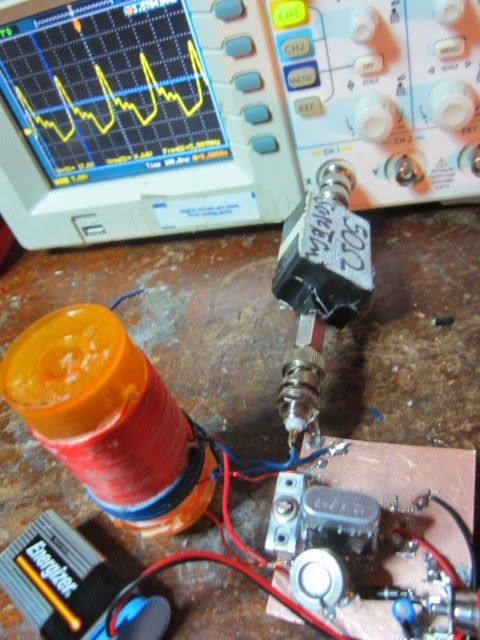 I turned the varicap to lower the capacitance. The spike moved to a higher frequency. When the varicap was half out, the squeal began to sound like a tone again. Problem was I was still at 3578kHz and still stepping on the JT65 signals. I called my wife in in excitement to show her and asked her to help me tune the circuit to the official frequency. I'm going to leave the varicap there for now. So I start it at 3577 and have to dial it back to 3579 to operate. I can almost go to 3580 with this little Mighty Mite. Finally I was curious. I had forgotten to check the output of the transistor Pete sent me on my LC meter. So I got the datasheet from the Internet. The BC547A I had used in Versions 1 & 2 were rated for 325mW. The 2N3058 is rated for 5W. Pete, how much power does this put into an antenna when fed with 12V? Apparently not enough to wake my Radioshack SWR/Power meter. But that thing is hungry. It needs more than 2 Watts for it to function correctly. Pictures attached. 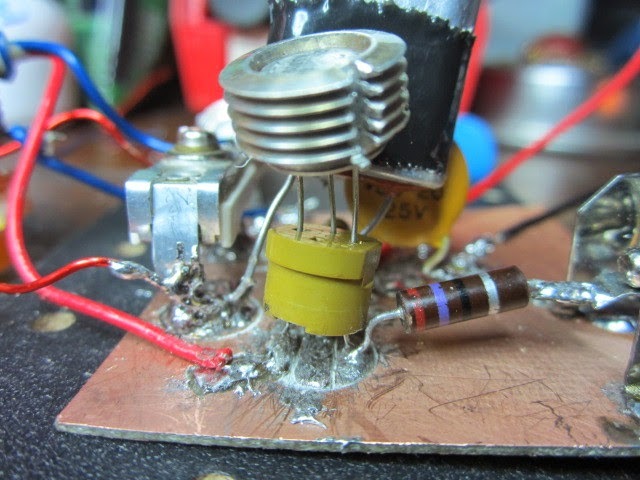 The transistor heatsink looks like it it touching the varicap in the pictures but I made sure there is plenty of gap. Too bad none of the pictures of that gap turned out. The wiggle in the waterfall picture is due to me turning the varicap to show range. Pete left a grounding wire on the case of the crystal. I chose not to remove it, but did not attach it to anything. Congratulations Jacob! You really hung in there, overcoming obstacles including the US Postal Service's Crystal-Crushing Steam Roller. The rig looks great! I couldn't stand it any longer, listening to you guys on the podcast and seeing all the Mighty Mites being built I had to have a go myself. Concerned that I might plunge Soldersmoke into receivership if I asked for a free crystal to be posted to Ireland I used a 3.560MHz one, recently purchased from the GQRP club store. 2 amazing things happened when I was building it. 1) for the first time ever I had all the parts I needed in my junk box. Since getting my licence in 2012 I've been gradually collecting and buying components. It's so much easier when you find everything you need. 2) for the first time ever it worked straight away. When I finished the last component I heard this voice from over my shoulder, it was Pete saying "Now go and noodle through the circuit and check your work" Sure enough I'd missed one of the connections and everything else checked out ok. So I plugged it in, hid behind the shack chair and turned it on. Success!!! Who is this earnest young radio amateur?